Ok. I'll admit it. I went through a hippie phase. Well, if I'm going to come completely clean, it was more like a hippie era than a phase. Basically from the age of about eight or nine through my college years I felt like I had been mistakenly born in the early 80's instead of the early 60's. I wore bell bottoms to school (when they weren't cool) and my gymnastics music was "Within Without You" by the Beatles. In college I, regretfully, wore hemp necklaces and Birkenstocks, danced like an excited chicken at outdoor concerts and showered about once a week. 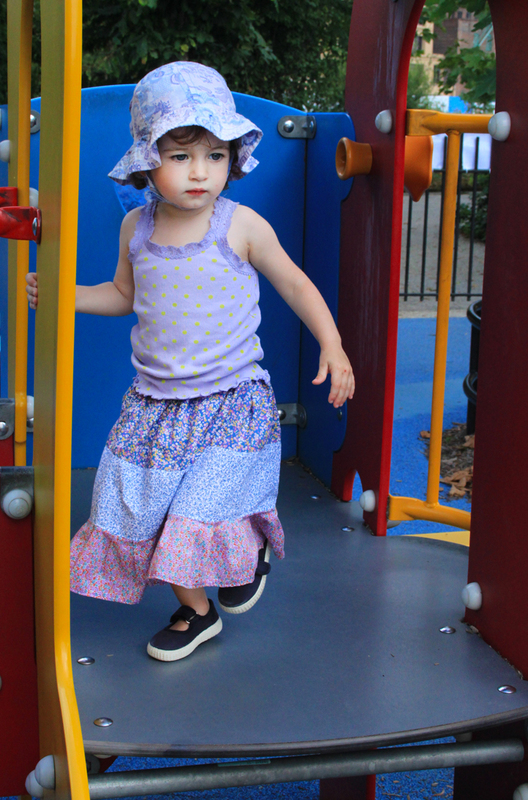 While there are some aspects of my hippie past-life I'd like for everyone to forget, I know that in my heart I will always be a hippie and I will always love a long mismatched flower print skirt on a summer day. And, before my daughter is old enough to tell me that she doesn't want to dress like Holly Hobbie, I plan to make as many adorable outfits for her as I possibly can. 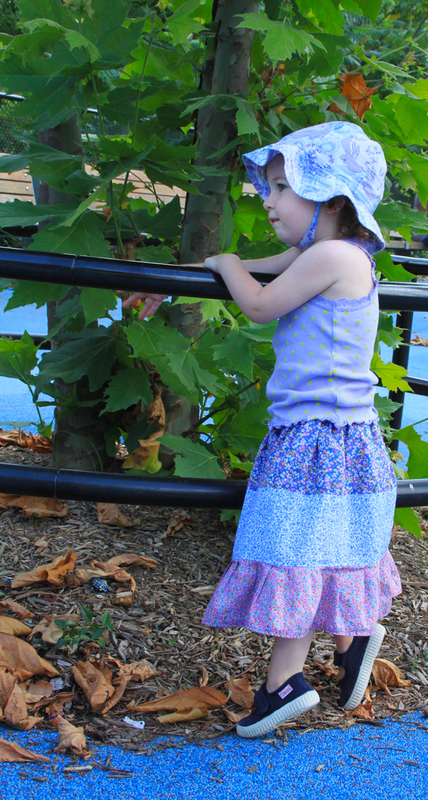 Here is a super easy tutorial on making this skirt. 1. 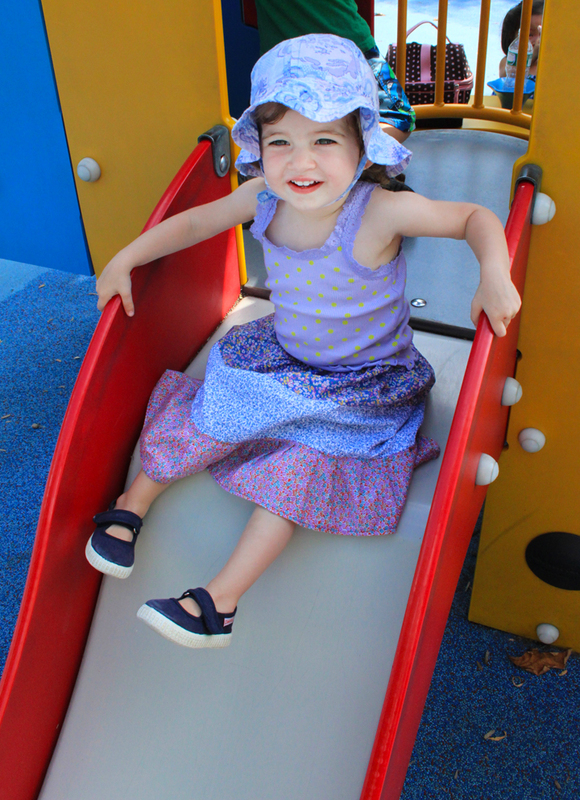 Use a pair of shorts or a skirt that fit your child to measure the length of the elastic waistband. 2. 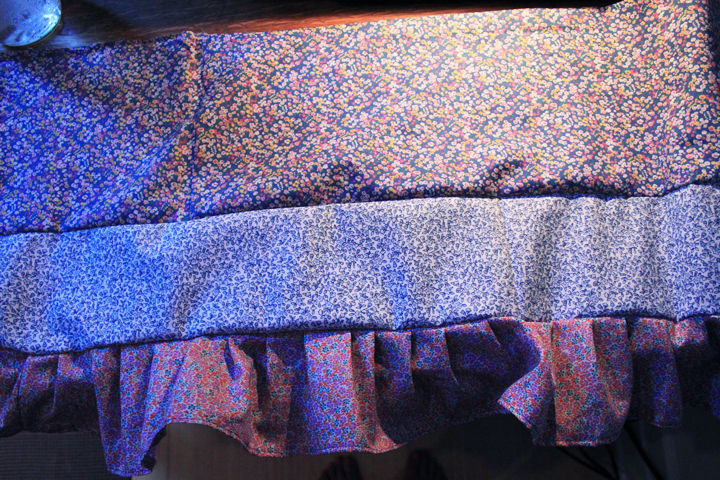 Cut out each of the three tiers of the skirt. I made the top two panels twice as long as the waist length. The third tier is twice as long as the top two tier lengths. 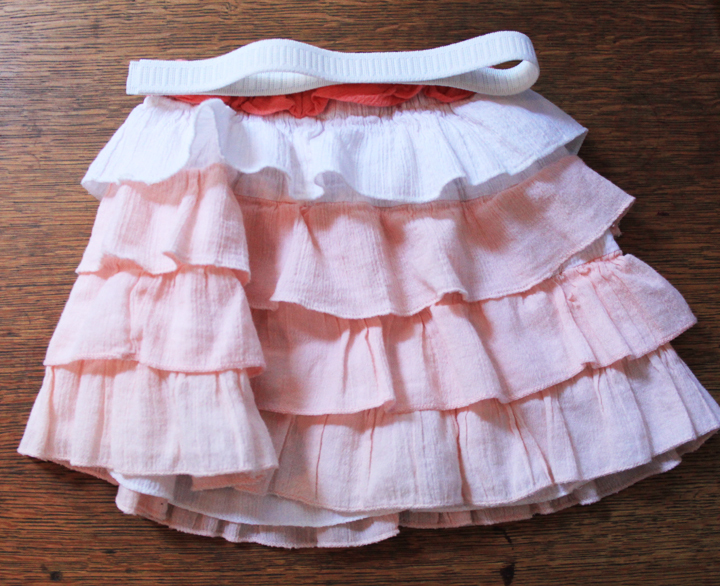 The width of each tier is the desired length of the skirt divided by 3 with 1/2 inch seam allowance added to each panel. 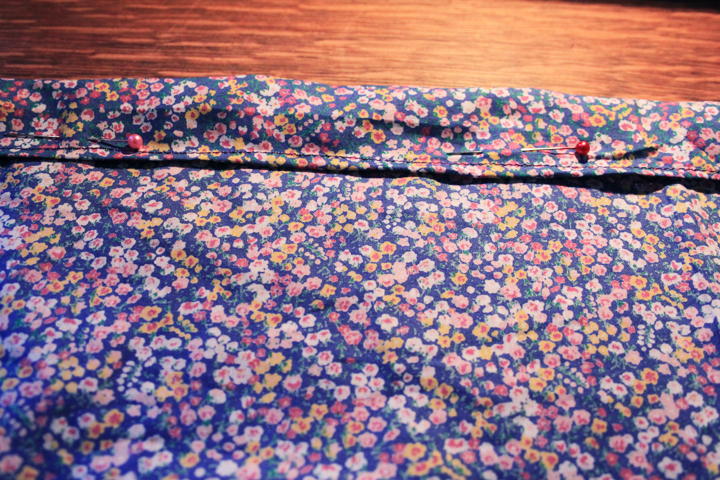 I also added 1 1/2 inches to the top panel to allow for the waistband hem. 3. 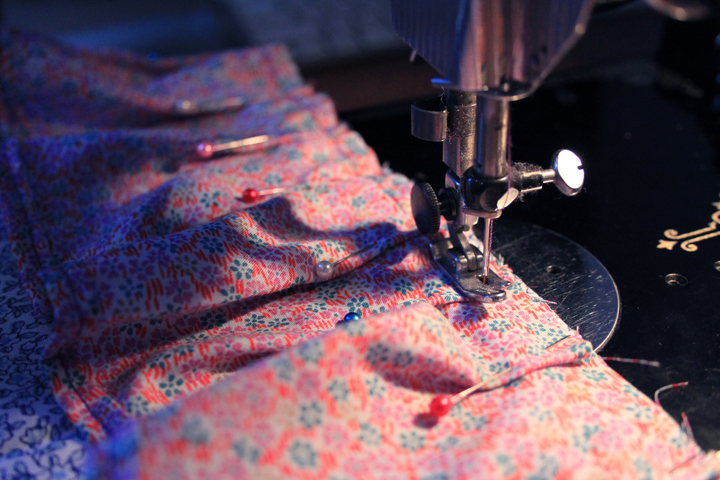 Sew a hem on the bottom panel. 4. Gather and pin the bottom panel to the middle panel face to face. 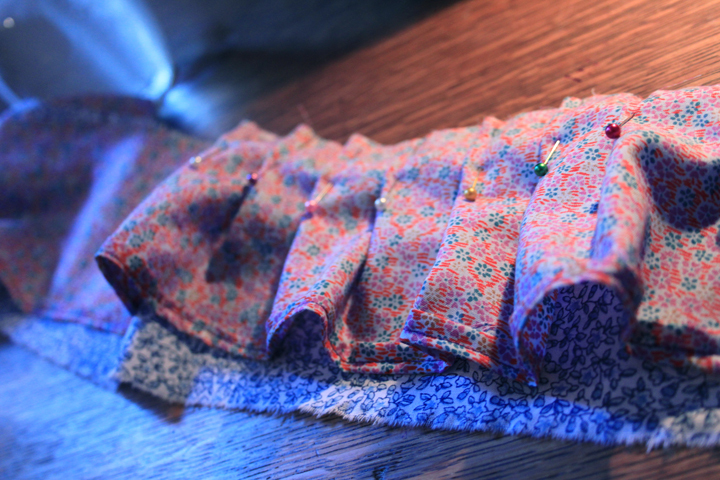 Then sew them together. 5. Pin the bottom two panels to the top panel face to face and sew together. 6. Hem the top of the skirt then fold down one inch and sew. This should allow plenty of room for the 3/4 inch elastic to pass through. 7. 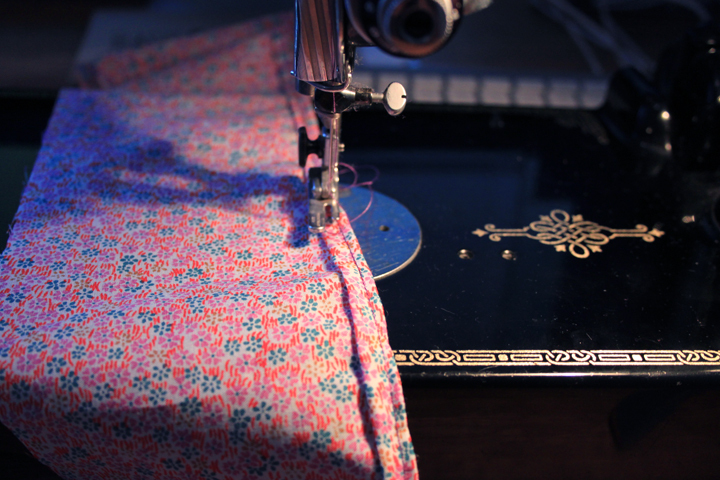 Once you have passed the elastic through, place the sides of the skirt together face to face and sew. Then turn right side out and you are done!